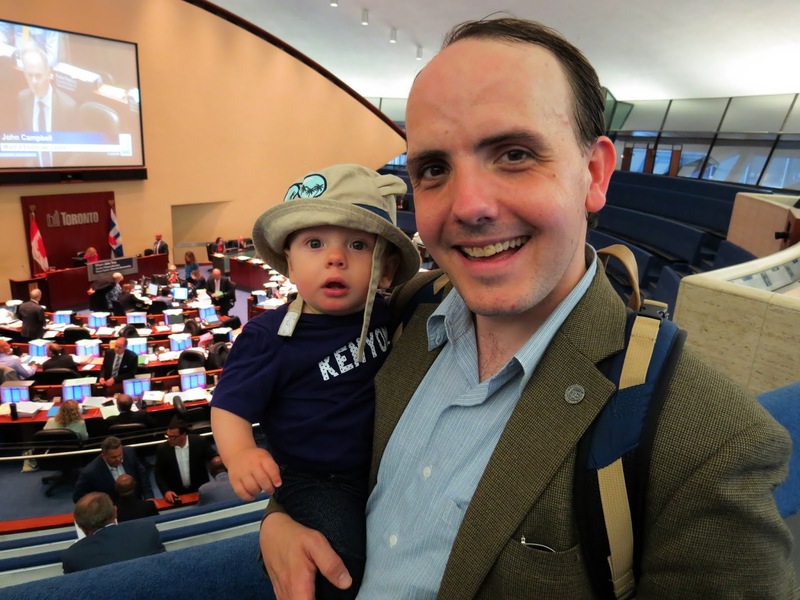 Last week, I joined Leeman Kessler - the YouTube star / municipal politician / voice of reason / world-class dad behind the web series Ask Lovecraft (pictured above with Martin, during a recent visit to Toronto City Hall), for a long chat on his Facebook/Youtube show Lovecraft After Dark. I was briefly mortified looking at it later, when one of the viewers noted that I had not updated this blog since last October. I must have been very busy, they kindly noted. 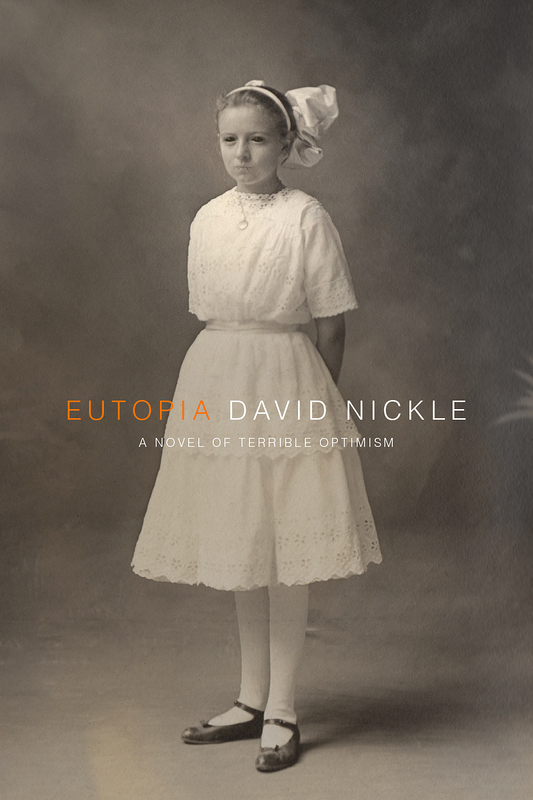 We talked a fair bit about my 2017 novel VOLK: A Novel of Radiant Abomination, and the book to which it is a sequel, EUTOPIA: A Novel of Terrible Optimism. In the last post, I pointed to a couple of reviews of VOLK, and here's one more, that came out in July from Cemetery Dance. 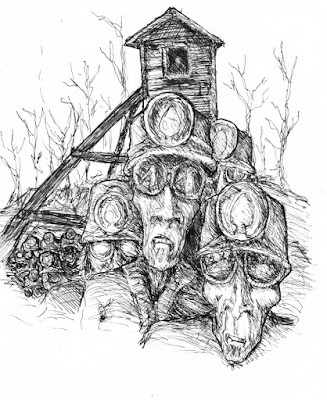 "Nickle has carved a path for himself as a pre-eminent author of speculative fiction. 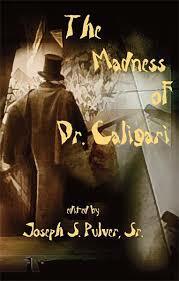 He covers a vast literary cross-section, but does so free of clutter. While this work is certainly a political treatise against oppressive entities and their dreadful acts, Nickle never loses sight of the dark poetry inherent in the genre, nor does he overlook simply spinning a good yarn." You can read the whole thing at Cemetery Dance Online, with a click right here. 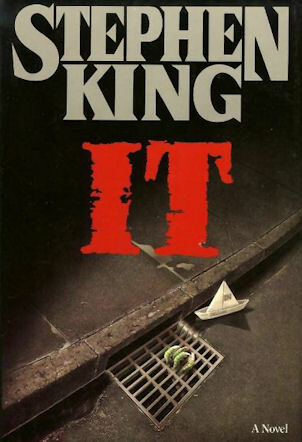 I have, in the mean time, been at work on some only-tangientally-literary artwork, in preparation for what I hope will be a very fine surprise in 2019. I cannot say too much about the surprise, other than to say that this pen-and-ink drawing has a relationship to "The Pit-Heads," a story of mine that you can read for free over at The Devil's Exercise Yard website (right here) and is a part of my 2009 collection Monstrous Affections. I have a few new things coming out. "The Toy Mill," my very old story co-written with Karl Schroeder, is set to be reprinted in ChiZine's The War on Christmas anthology of twisted Christmas stories. This isn't the first time that "The Toy Mill" has been reprinted but it's the first time that it's illustrated, by me. 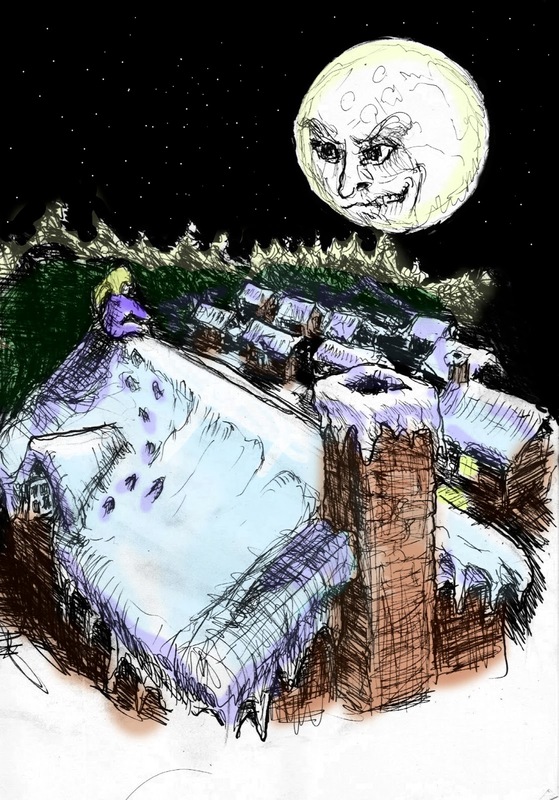 Here is the first illustration (which will more than likely be printed in black and white but I present here in living colour). And later this summer, my story "On A Wooden Plate, On A Winter's Night" will appear in Eric J. Guignard's internationalist horror anthology, A World of Horror. I am very excited about this one: the anthology assembles horror storytellers from around the world; my story is representing Canada. Check it out, right here. 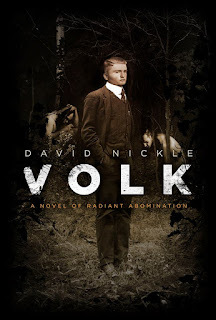 As the release date grows nearer for VOLK: A Novel of Radiant Abomination, we offer a small treat: the entire prologue, which appeared in a slightly different form in my 2014 collection Knife Fight and Other Struggles. The prologue takes us to a certain Munich beerhall, in the years after the War to End all Wars, by way of a peculiar Bavarian spa. It may contain a certain amount of Nazi punching. It is called ORLOK, and it is right here. VOLK: A Novel of Radiant Abomination is available from ChiZine Publications (and all the usual sources) right here.